Transform your look instantly with the PURE COLORS Matte Lip Color - Electric Tang. 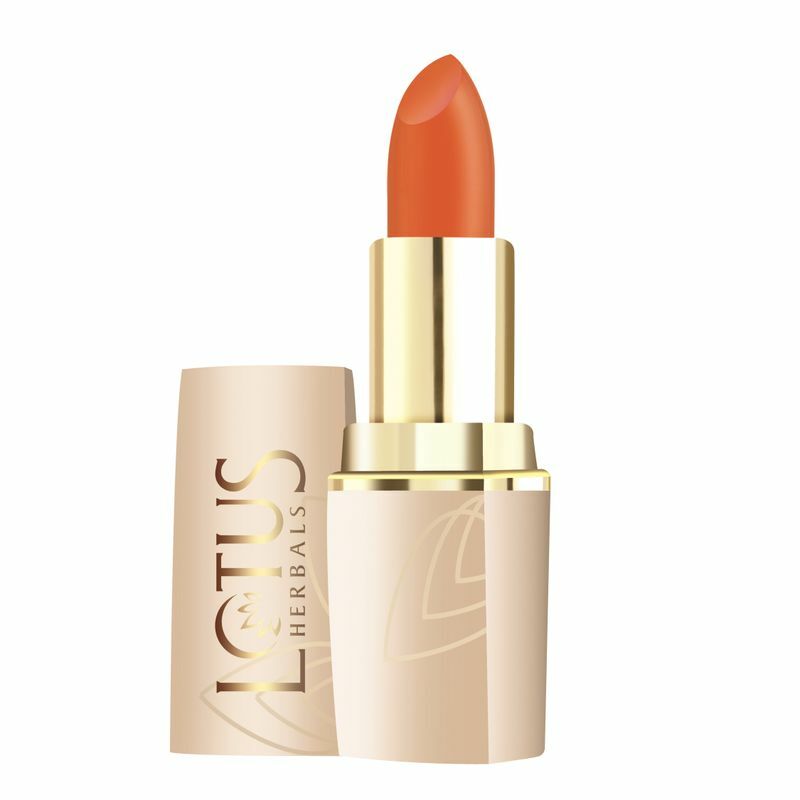 It is a creamy matte formulation that gives high pay-off and rich pigmentation in one stroke. Glides on smoothly and stays put the whole day long without making your lips dry. The Jojoba and Vitamin C keeps your lips supple and youthful. Enriched with Jojoba Oil, Vt. E and Shea Butter. Explore the entire range of Lipstick available on Nykaa. Shop more Lotus Herbals products here.You can browse through the complete world of Lotus Herbals Lipstick .